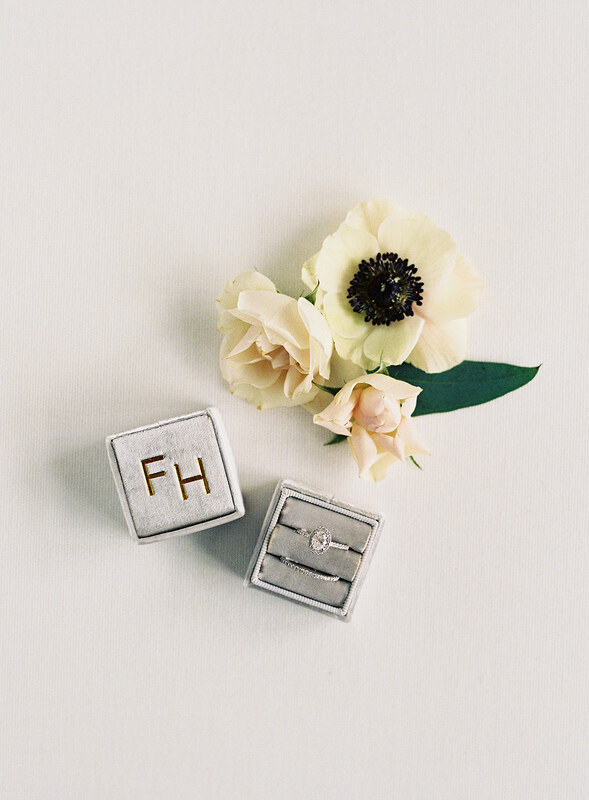 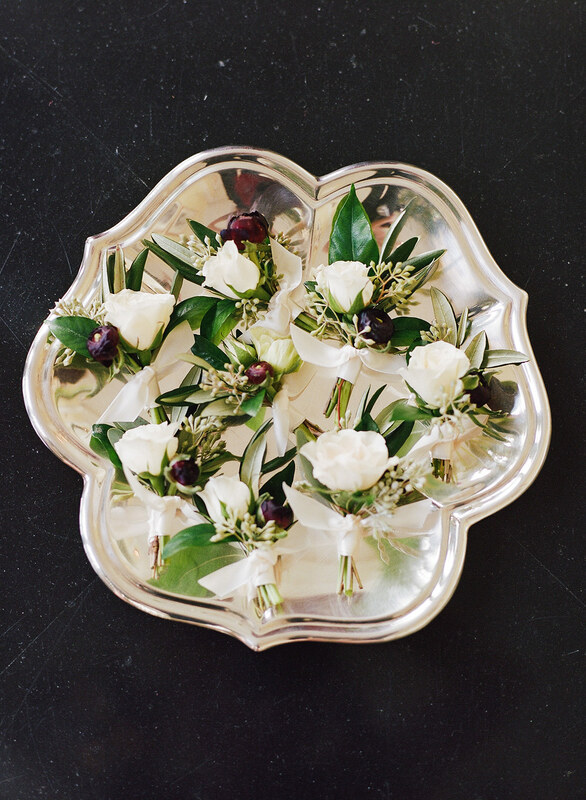 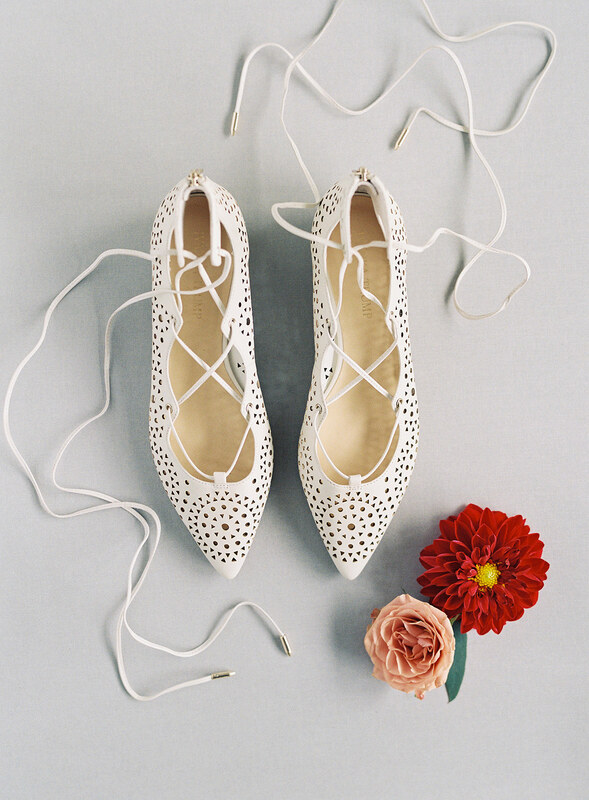 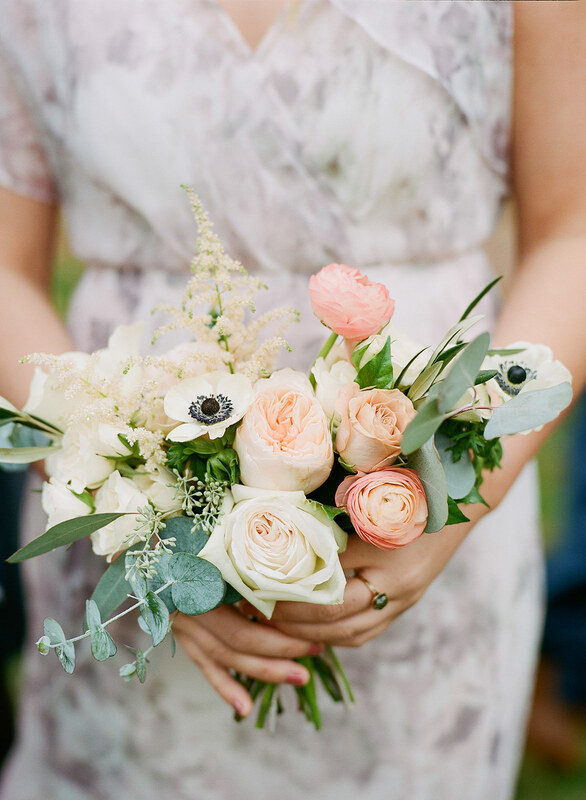 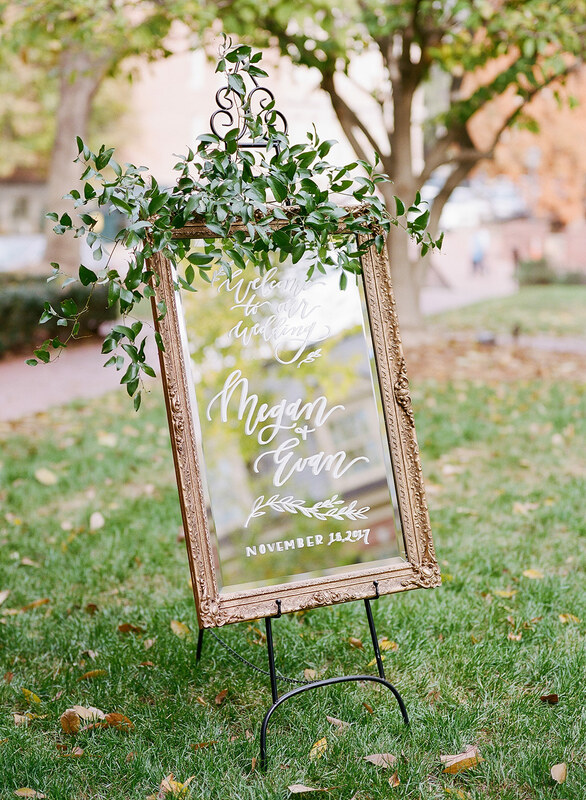 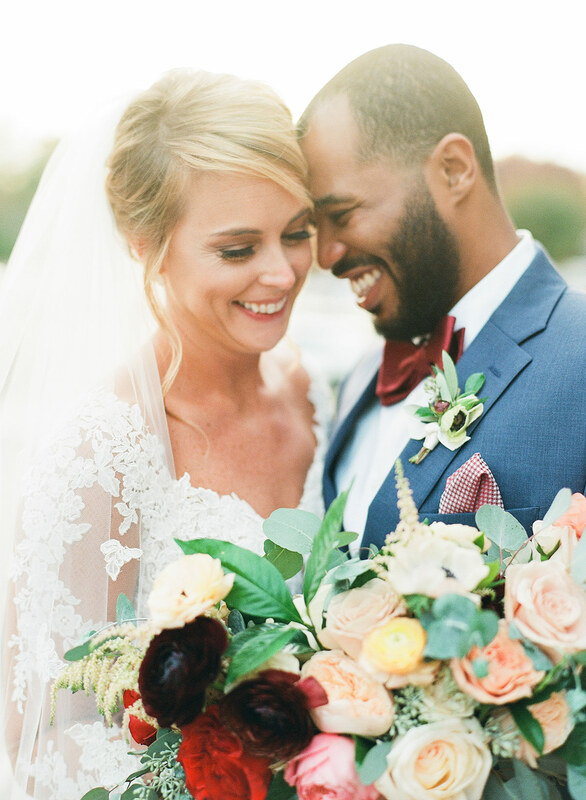 These two high school sweethearts were inspirational clients (and downright lovely people) who we’re thrilled chose us to bring their wedding florals to life. 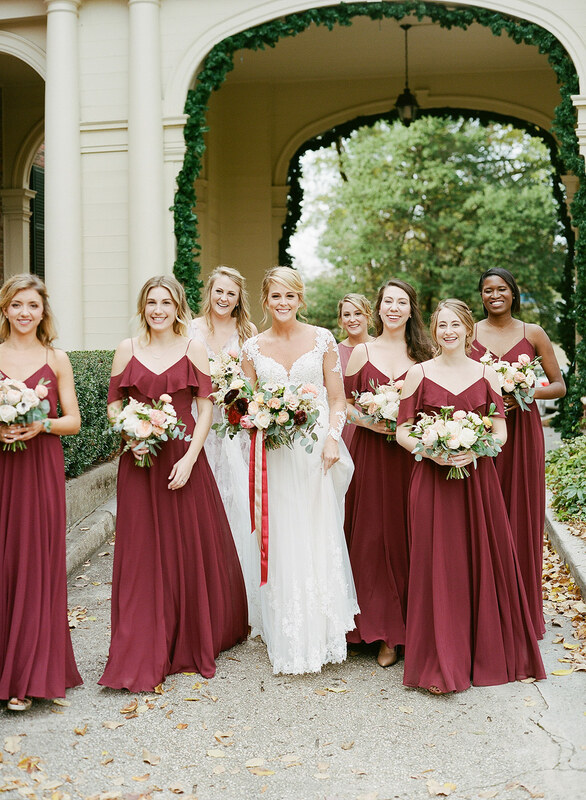 It is rare to work with a couple with such a clear and intentional vision for their wedding day — and it helps when the Bride is a wedding photographer with a fantastic sense of style 😉 Even though deep maroons are becoming quite popular with our Fall weddings, the details Megan and Evan asked us to execute really breathed new life into this colorway trend (not to say we’re the least bit bored with it, anyhow). 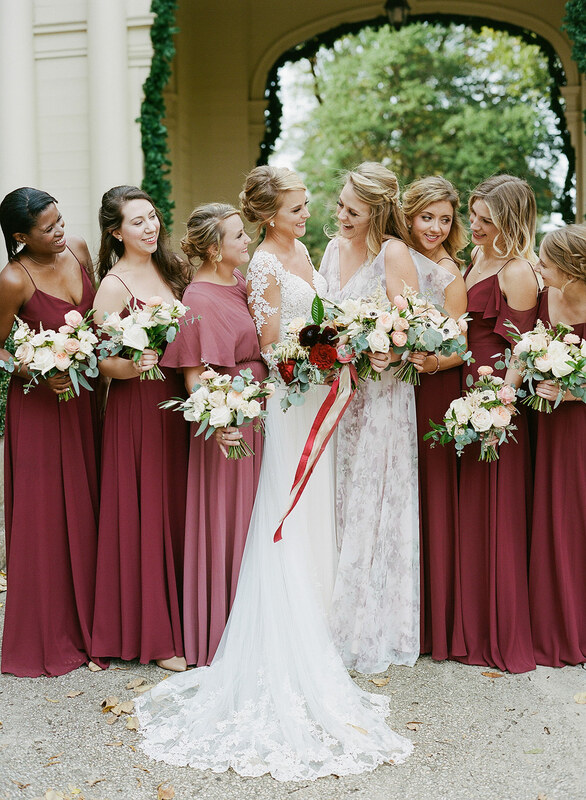 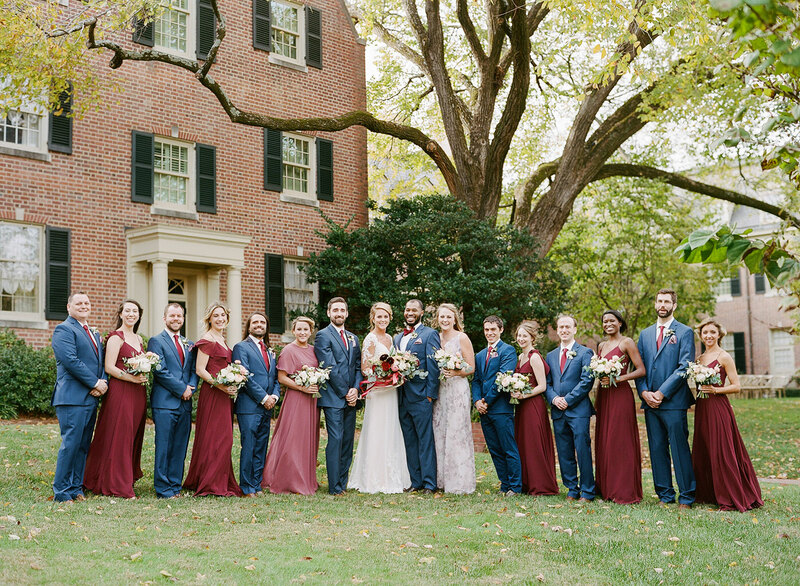 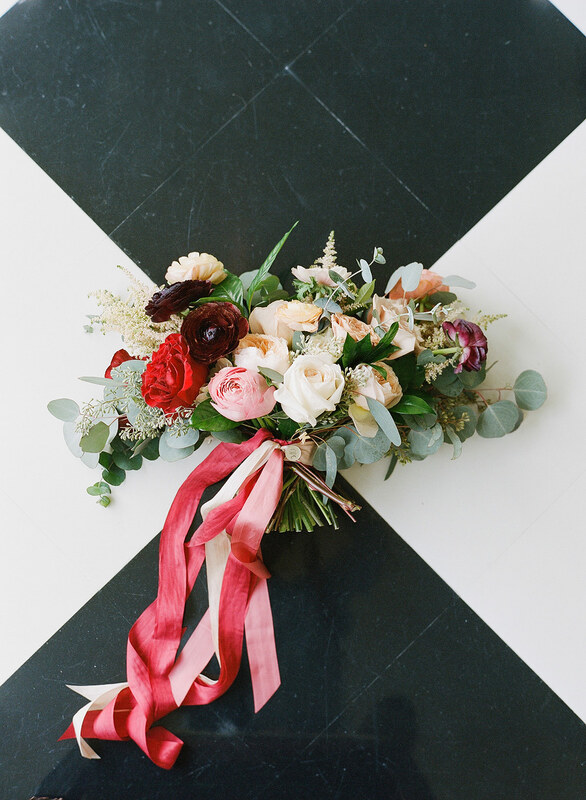 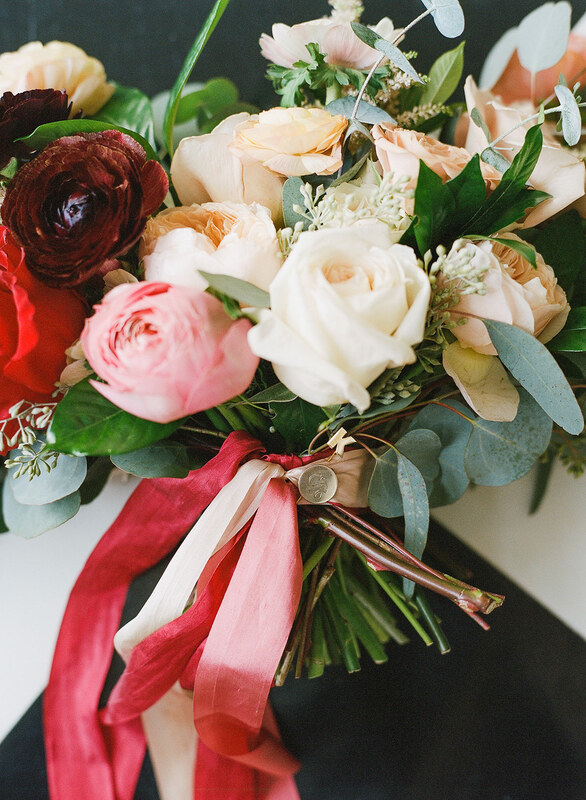 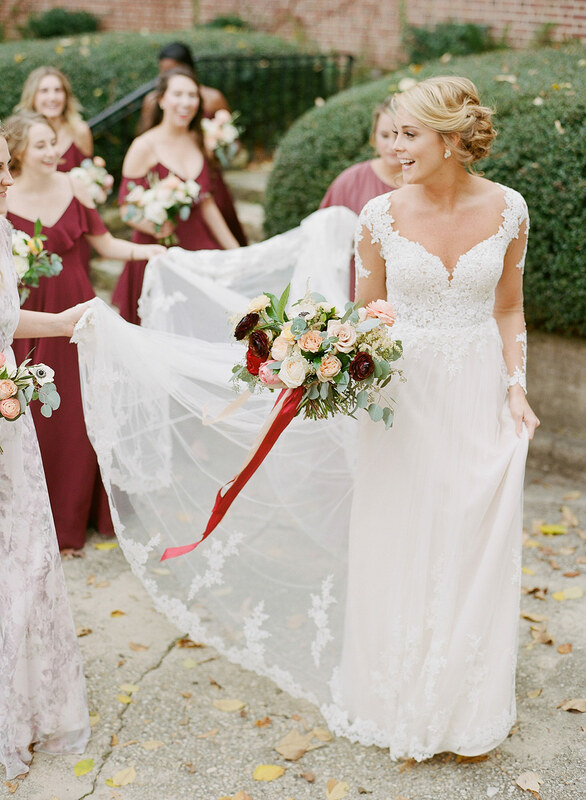 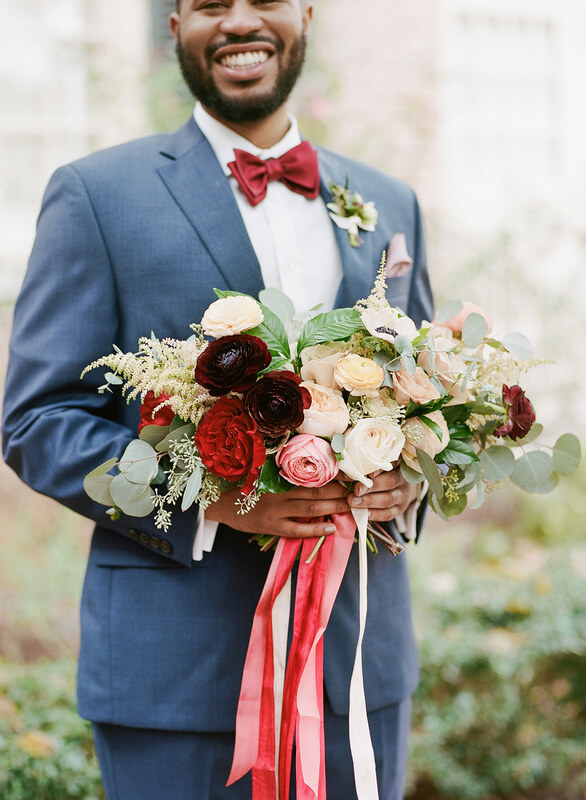 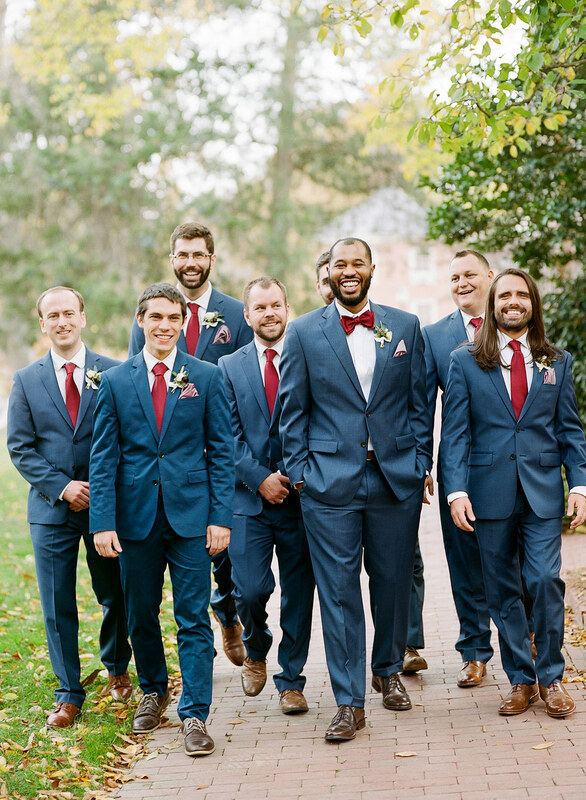 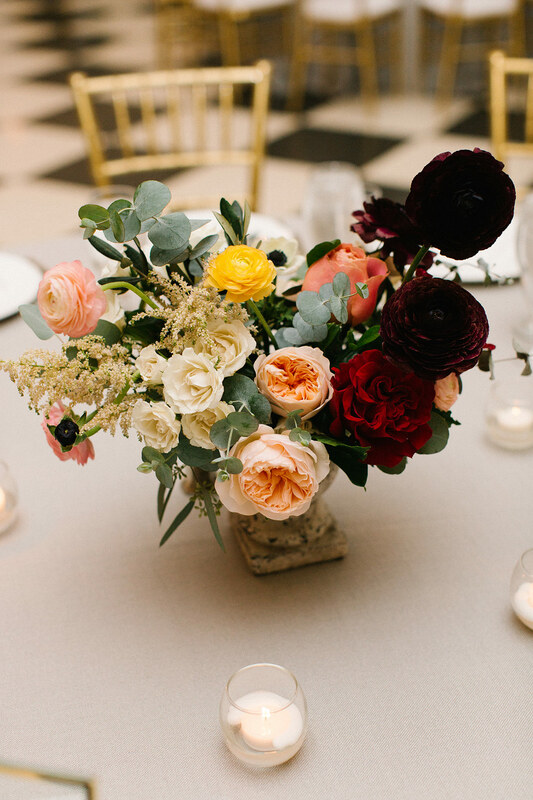 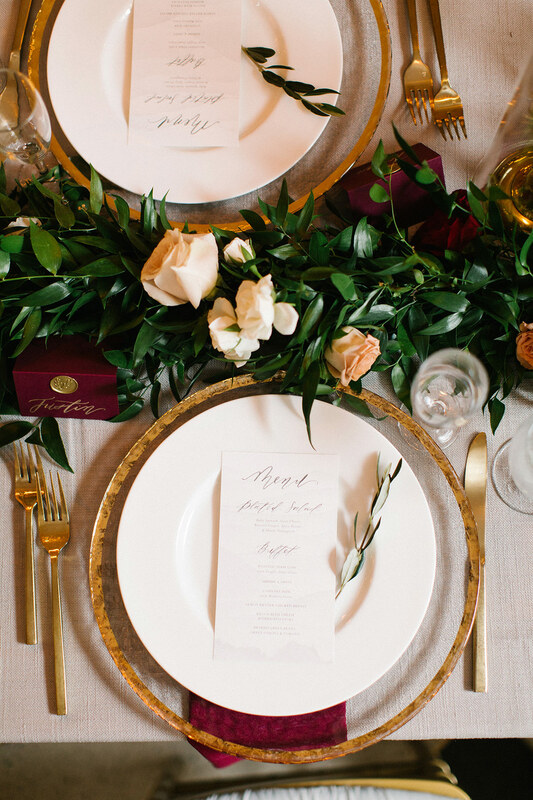 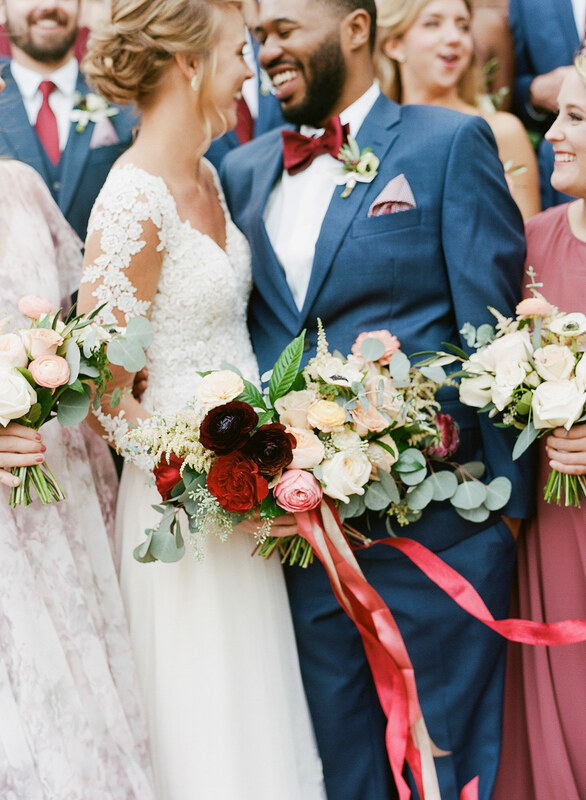 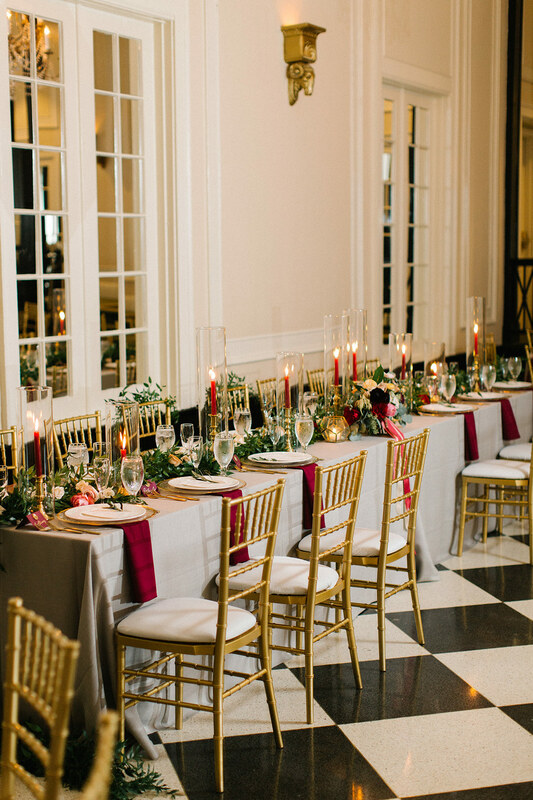 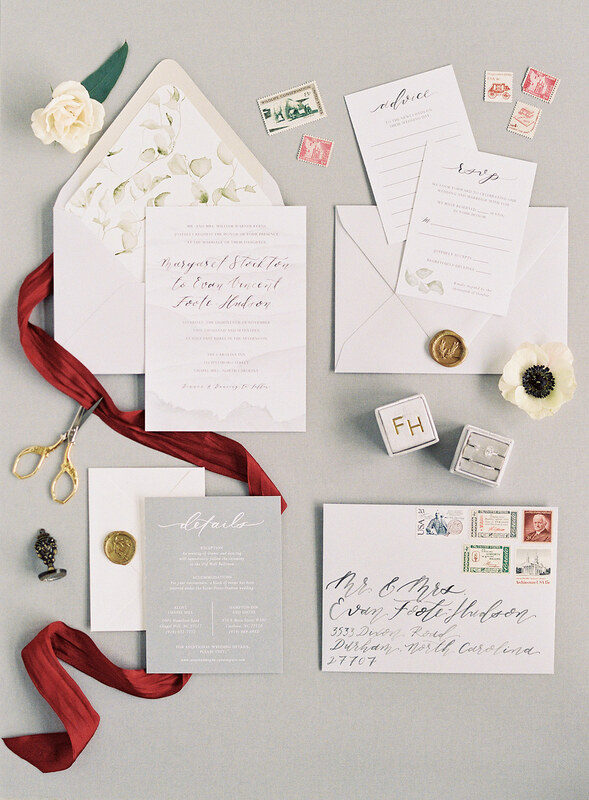 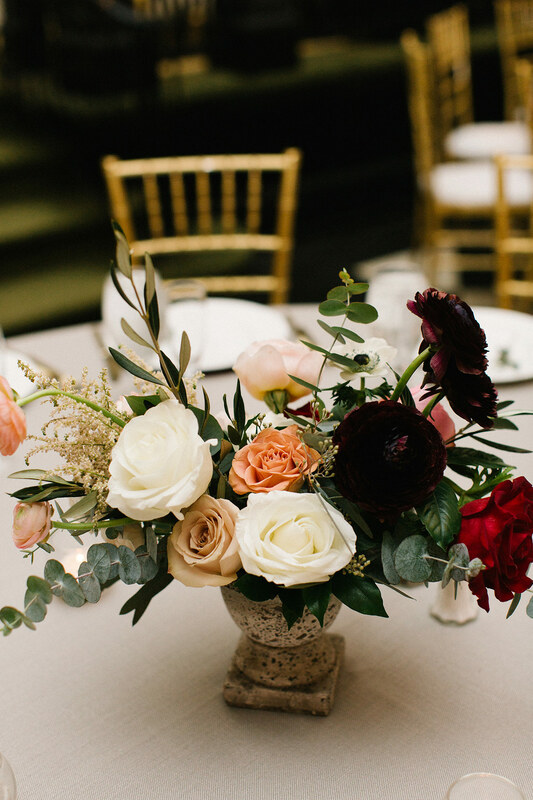 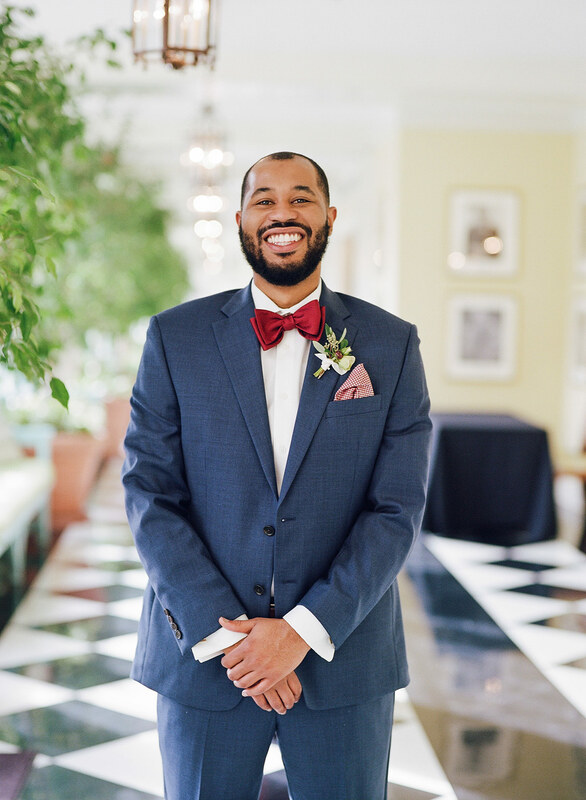 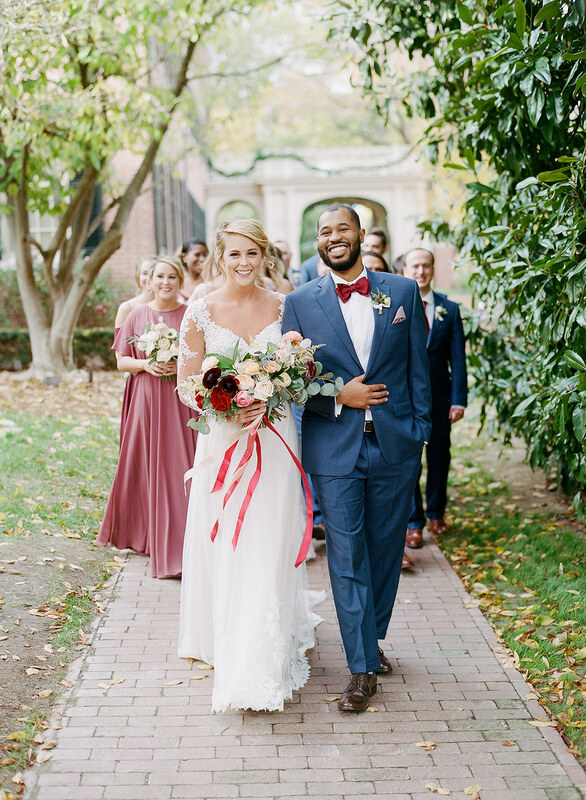 The tones of pink, red, and caramel to complement the blush & burgundy contrast were really fun to work with, and we’re thrilled to have so many incredible shots – not only of the beautiful couple, but of all the thoughtful details they took time to imagine and prioritize with the assistance of their amazing planner, Stephanie Schaul. 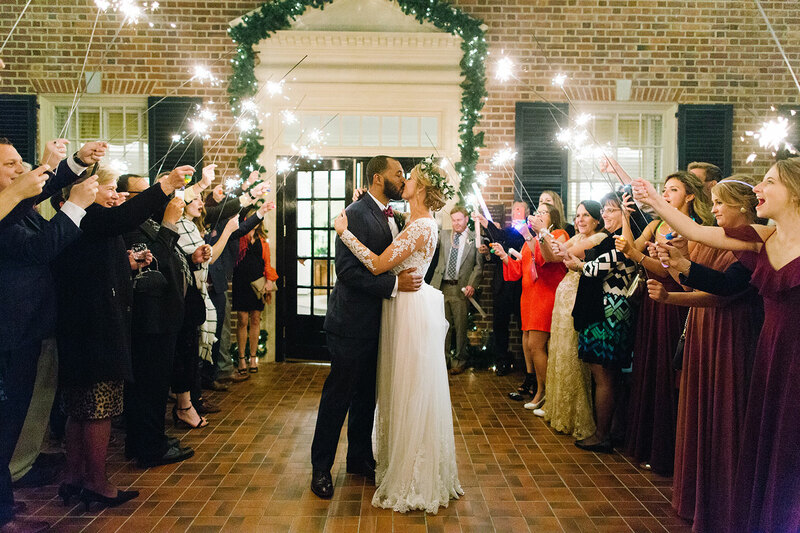 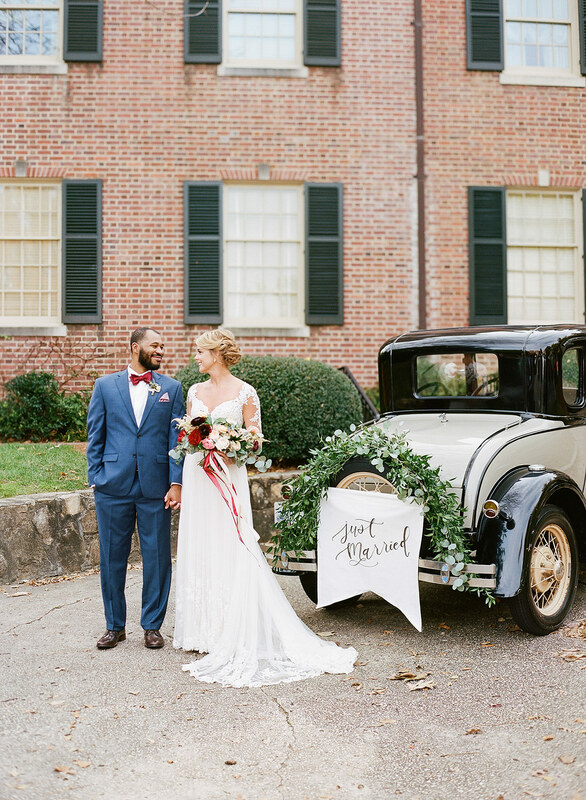 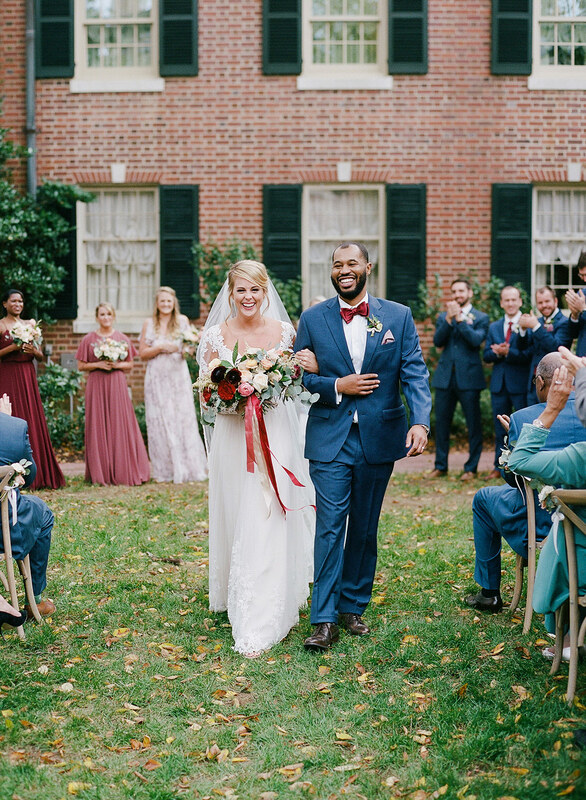 Enjoy perusing these heartwarming moments from a truly memorable and idyllic autumn day at Carolina Inn.